When someone sets sail on a yacht or pleasure cruise, it can be an exciting adventure. No one ever hits the open sea with the expectation of not returning. Sadly, each year many passengers and crewmembers die while at sea. At our office, we know the heartbreaking reality that many families face when they learn that their loved ones will not return. This is why we fight to help families in these situations recover compensation for their losses. Call us if you need help after a death on the high seas. When is a Death at Sea Compensable? A leading UK news outlet reported a few years ago that upwards of 200 people die on cruise ships each year. This, of course, doesn’t include the many offshore workers and passengers of yachts and pleasure boats who die annually. Sometimes a death is simply due to a medical condition or other unpreventable problem. But sometimes the death is avoidable. So how do you know if your loved one’s death is due to someone else’s careless conduct? In other words, when do you have a right to be compensated for your loved one’s death? The key is negligence. To seek compensation for a loved one’s death at sea, you need to prove that someone else was to blame. This may actually happen more often than you would think. Here are three of the most common types of deaths that may entitle you and your family to compensation. There are strict federal regulations in place to deal with the unfortunate situation where someone falls overboard. If the crew fails to follow proper procedure and it leads to someone being lost at sea, this could be a reason for filing a wrongful death claim. Injuries are fairly common on ships at sea. People have fallen from balconies, tripped and fallen overbulkheads and door combings or even suffered fatal head injuries from moving parts and falling debris from upper decks of the ship. An injury that results in a death could very well be the result of the cruise company failing to take adequate precautions or refusing to follow laws and regulations designed to protect the public. 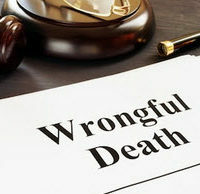 Depending on where and how the individual died, you could have a right to bring a wrongful death lawsuit under Florida law. If the death occurs at sea, a federal maritime law known as the “Death on the High Seas Act,” could provide compensation for you and your family. To find out more about your rights, contact Michael F. Guilford, P.A. today. The call is free, so you have nothing to lose. But don’t wait too long, because you could lose your rights altogether. So call today.